In this week’s episode, I will be sharing insights about how to use the Power Pause, in a conversation. If you are unfamiliar with this term, it is exactly what it sounds like. Perhaps you’re more familiar with the term uncomfortable silence. You know what that is, right? Feeling compelled to fill a silence or pregnant pause in a conversation. The power pause is the opposite. It is also a common strategy used by public speakers and salesmen to drive a point home and inspire action or a response from the other person. Think about all the times you felt compelled to yes to something (when you really wanted to say no) because you were uncomfortable with the silence after the question was asked of you. To become a more effective communicator, let’s talk about why we feel compelled to fill an awkward silence and how can you transform an awkward silence into a power pause. The first step is awareness. When you’re around people you don’t know well, do you feel compelled to talk to ward off silence? How about when you’re alone with your boss or someone else who has power over you? Do you feel a need to fill the space in the conversation? Let’s analyze what happens when we fill a pregnant pause. You might say things you may not mean or agree to things you might not want to do in service of avoiding being uncomfortable. When we speak from this place of fear it undermines our power. So the question is: How do you get comfortable with that pause? The first step is changing your mind about it and realizing that you are not 100% responsible for what happens in any conversation. It is a two person activity with each party being 50% responsible for how it goes. What do you imagine would happen if you just allowed a pregnant pause to exist in your conversations? Your fear mind might tell you it will be embarrassing or the other person will feel uncomfortable or you might even think allowing a moment of silence means you are a bad conversationalist. What I find is that there are many assumptions that get made about a person taking a moment to think that are incorrect. If you ask a question and the person hesitates, you might interpret that to mean your question was perceived as rude, that the other person is offended, and you might feel compelled to try to ‘take it back’. Overfunctioning, or doing more than your share, in conversations happens the same way many of us over function in our relationships. The problem with doing this besides dominating the conversation is that we really have no idea what might have happened in a conversation if we are compelled to control all aspects of it, including the silence. When you become empowered within yourself, you can speak slowly and thoughtfully. You can patiently allow time and space for the other person to respond. I am challenging you to try this experiment for the next two days. I want you to be mindful of any conversational silences that would normally be compelled to anxiously fill. Instead of filling, the experiment is to NOT. This will require you to have faith and allow the chips to fall where they may. You might be pleasantly surprised at what happens. The second step is viewing the anxious silence fear as a potential boundary issue. Feeling overly responsible for a conversation is similar to feeling overly responsible in relationships. Healthy boundaries indicate that you know what’s your responsibility and what’s the other person’s. Codependents rarely make great conversationalists because they are too busy worrying about how what they are saying is making you feel, rather than being powerfully dialed into their own feelings. So, for the experiment this week, I want you to resist filling any pregnant pauses you happen upon for the next 48 hours. Then, write down all of the situations that you found yourself in, where you felt compelled to do it. Try not to do it, it’s only an experiment, so if you had to do it anyway because you couldn’t stop yourself, that’s fine. What I want you to do is raise your awareness about what or who inspires this behavior. much of the time, this is an ingrained and automatic way of responding so awareness is the key to stopping it. I’m asking you to just step back and take a minute to allow yourself to observe you in conversation. Get dialed into your body because if you pay attention, your body will always give you physical signs when you feel anxious or uncomfortable. The more you observe the more you will be able to pinpoint what specific people or situations kick up the need to fill the silence. Mastering this will put you on the path to become a powerful conversationalist and speaker plus create opportunities for you to really get to know the people you’re conversing with. I hope that you enjoyed this episode and if you did, please share it with the people in your life and on your social media platforms. I want you to let me know in the comments section here or on Youtube if you have the courage to do the experiment and how it went. Thank you for watching, listening and sharing, and as always, take care of you. 150 Uncomfortable Silence or Power Pause? I love this so much! I try to live in an eyes-wide-open state, but you always seem to help me open them a little wider. 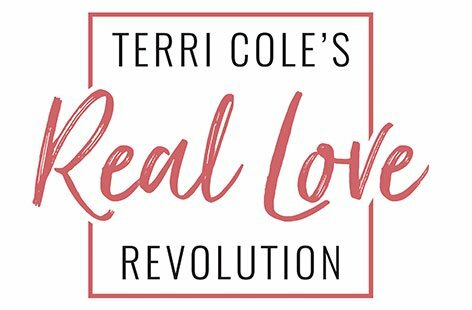 You rock, Terri Cole! Awww thanks for saying so, Erin! ? You are so welcome, Thea! I remember reading a statistic that most people will feel the need speak within seven seconds of a pause in conversation. 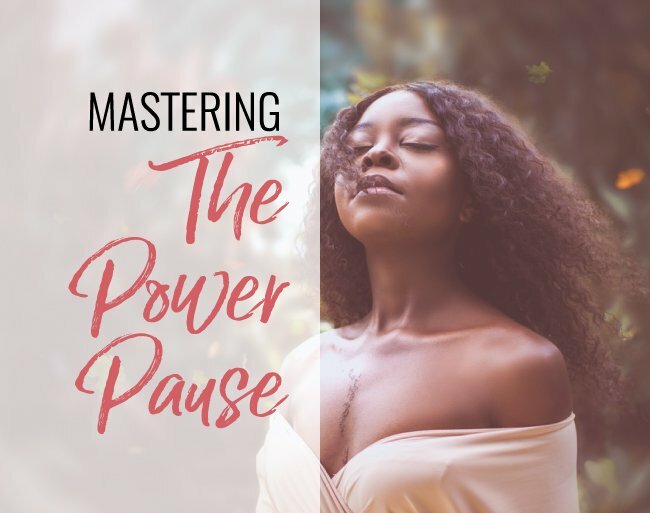 When I first started building my pause muscle, I would slowly count to seven to myself to help me fill the gap that was making me feel compelled to speak. It is amazing. Most of the time, others will speak first which has numerous and amazing benefits. It also helps me gather my thoughts so when I do speak, it is more intentional and thoughtful. Thank you for sharing your insight and experience here with us, Jeanne! Also, some people talk over you when you’re expressing something and won’t allow for pauses. How do we mindfully have conversations with these people? How can we allow for pauses with ‘bad listeners’? Thanks for this episode Terri! I love your work. The effort you put into it, in not just what you want to say to people, but how you say it as well the design of your brand itself is so admirable. When someone puts in that much effort in creating these introspective, therapeutic, mindful bites of content for people and presents them so meticulously, I feel like trusting them because of the sincerity of the effort. Thanks for this video especially because now I don’t feel compelled to fill the awkward silence in a crowded elevator. Right on, Dee Anna! Le us know how it goes ? I am definitely revisiting the pregnancy pause concept. As someone who is healing from co dependency I definitely get how insightful this is. There were so many times I felt uncomfortable when I first tried this in BB. I am improving with this skill. Thank you so much! Another great video. I started doing this on my own a few months ago, but not to the extent you recommend. Immediately, I found that conversations flowed more easily and I felt less pressure about filling in spaces. I’m definitely going to be more mindful about power pauses moving forward. Right on, Lauren! It is amazing how a small shift can have a large positive ripple effect 😉 Thanks for being here with us!